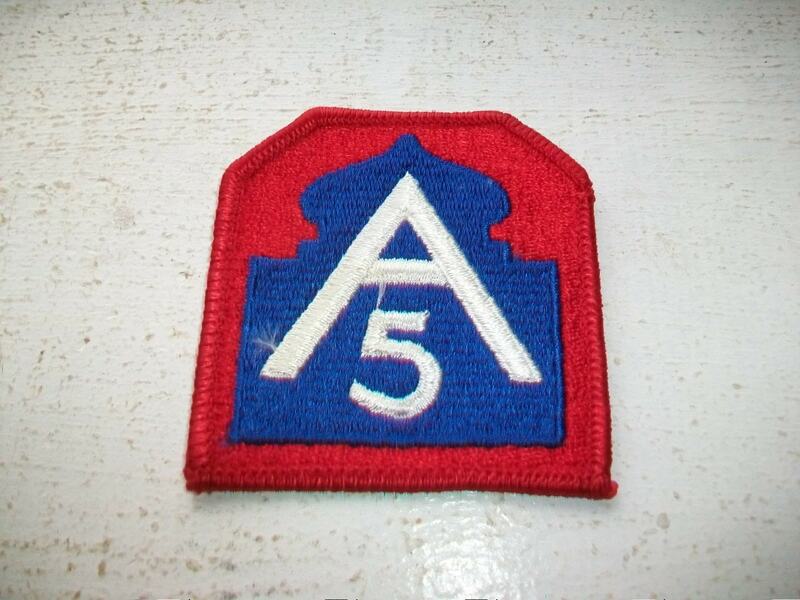 Vintage U.S. Army 5th army patch, new old stock, perfect for your next craft project. I have several of these available. 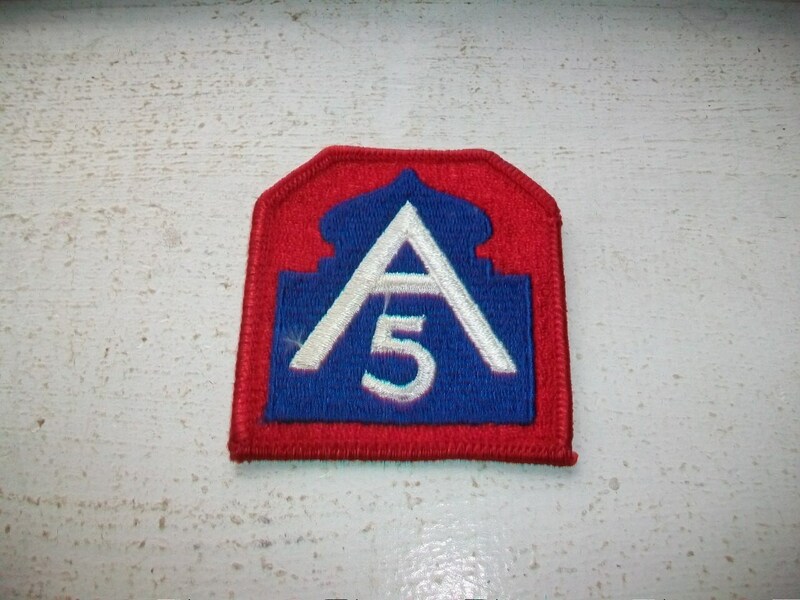 This sturdy cloth patch measures 2 1/2" high x 2 5/8" wide. Be sure to check my shop for other old patches. Enjoy!